Altimetrik, a technology transformation and solutions partner to global enterprises, has expanded its presence in India through the opening of its newest immersive experience center, Playground, in Pune. Comprising a Design Studio and an Innovation Lab, Playground will lead Altimetrik’s growth strategy and become the ‘global mecca’ for industries like banking, healthcare, fintech and manufacturing. By blending technology and innovation with global talent and capabilities, Altimetrik will be able to reduce time to delivery by upto 30%. This is the second such center after Bangalore and will soon be an integral part of a network of Playgrounds once similar centers are launched in the United States, Uruguay and other strategic locations. The Playground, an integral part of Altimetrik‘s strategy, will enable technology-led business transformation for clients globally. With Pune becoming one of the fastest growing cities in the area of digital banking, e-payments and modern-day financial services, the city houses immense opportunities for the industry. 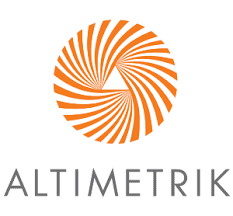 It forms a critical part of Altrimetrik’s talent acquisition strategy. 3. Full-stack talent empowered with end-to-end ownership. A differentiated experiential zone – with a dedicated Design Studio, and centers for each Capability to house Altimetrik’s components, solutions, frameworks and platforms, this area is where one can simply walk in, ideate and start building solutions with agility, velocity and precision. The elements of the Playground – Approach, Platforms and Full-stack Talent will accelerate faster delivery through component engineering while augmenting a profound customer experience. A globally scalable business innovation that fosters hyper-collaboration, unified teams, and an idea driven, open innovation ecosystem; it helps Altimetrik develop a differentiated and unique value proposition for Industry, Customers and Employees.